Is exercise actually good for you? Silly question. Of course it is. But too much of a good thing can be… well… not good. And that’s the case with one particular popular exercise. Get too much of it and your risk of heart attack will start heading skyward. A study conducted by German researchers focused for nearly 10 years on the exercise habits of more than 1,000 people who were in their 60s. 1) Those who did 60 minutes of moderate intensity aerobic exercise 4 times a week. 2) Those who did 60 minutes exercise more than 4 times a week. 3) Those who exercised occasionally or rarely. Not surprisingly, those who did little or no exercise had the highest risk of developing a cardiac event. More surprisingly, however, the healthiest group was the one in which people participated in moderate exercise—and not intense exercise. In fact, the over-exercised participants had double the risk of heart attack and stroke compared to the moderate exercising group. 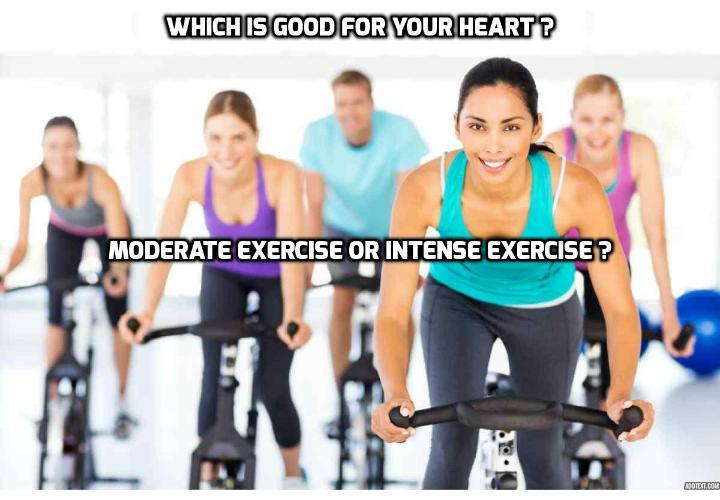 So for best cardiovascular health, do moderate exercise a few times a week, rather than heavy exercises every day. Do this moderate exercise routine 3–4 times/week for optimal heart health. All it takes is 15–20 minutes per day.